Tradewell Ferromet Pvt Ltd can provide Cold Forged & Hot ForgedRivet Fastener / Non Standard Rivet Fastener with complete material compliance. We are an acclaimed firm involved in the provision of highly qualitative Rivet Fastener. Captivating the skills of our professionals, we are involved in offering best quality of Rivet Hinged Fastener. 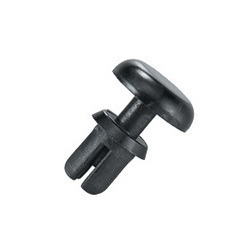 This Rivet Hinged Fastener is highly appreciated for its various uses such as in heavy duty conveyor and elevator belts commonly used for handling sand, gravel, crushed stone, grain, coal, cement, and salt. We offer high quality Stainless Steel Pop Rivets. 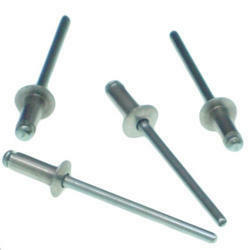 We offer a wide range of rivets which gives solutions to automobile, industrial industry. We manufacture our range of Automotive Rivets, as per the exact specifications provided by the clients. These Rivets find their application area in the doors and door hinges of automobiles. Our range is fabricated using high grade raw material to ensure a hassle-free and convenient automotive operation. Plastic rivets for panel attachment. - Suited for high-load applications.